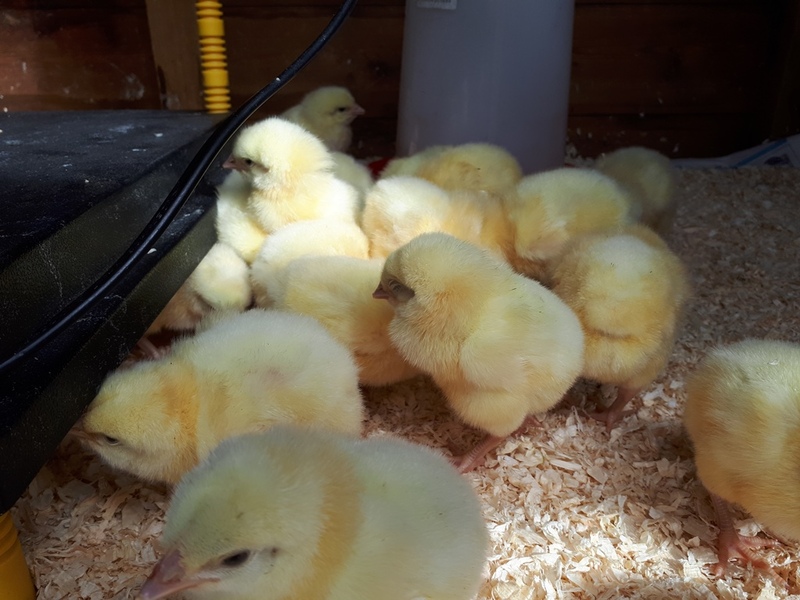 I've gone for a few more this year as there is a price break at 25 making the chicks cheaper (no pun intended) and it would be nice to stock the freezer up again for winter and spring. 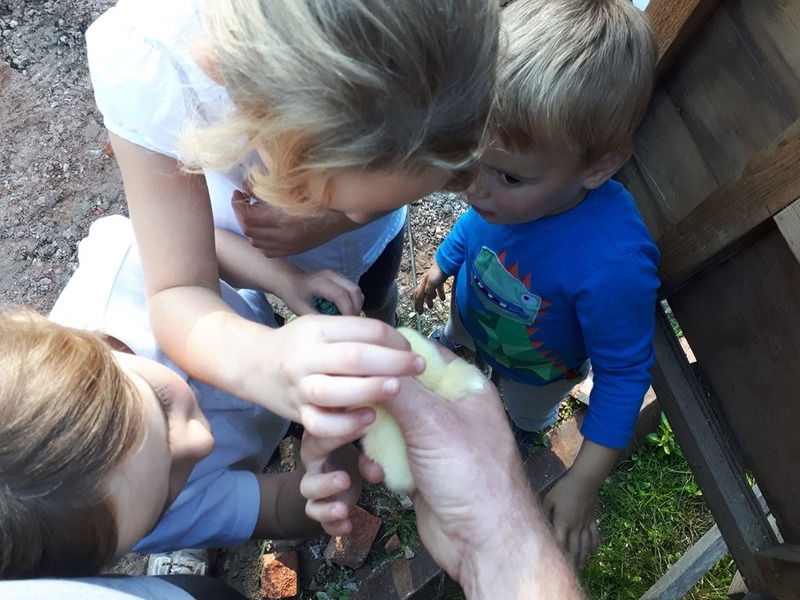 The children were so excited to see the new chicks they pretty much ran the mile home! They then spent an hour and a half stood at the pen watching them and picking them up whilst I worked in my workshop. Few things enthral children as much as day old chicks! I have to admit I love having them here as well. The kids certainly know what the process is though and they're already talking about chicken dinners. My youngest daughter even asked for her birthday party to be a "chicken preparation party" (her words not mine) where she could show her friends how to prepare a chicken for the table. I think it's probably best we don't go down that route but it shows they're proud of producing their own food. So now the tricky bit of keeping these hungry birds fed for the next 8-12 weeks. Hopefully have them off heat by the middle of week 4 and then I can move them out to the pasture pens I have already built. 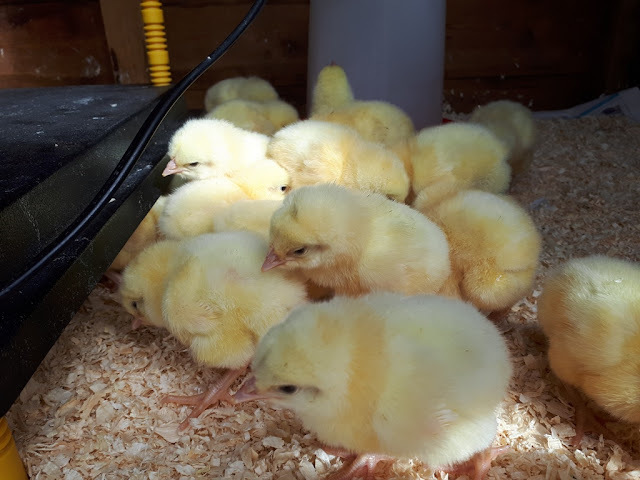 I might have to make the brooder a bit bigger to give them more space and more space away from the heat mat by about week 2 as well. Who else does meat birds? Do you find it as cost effective as we do? They are always so cute at this stage! And then they grow up. Well worth the effort to grow your own meat. the kids or the chickens? Lol! the chickens seem to be the best use of my time to grow meat, it's a short cycle so can fit into the time of year where I'm not too busy. Unlike the sheep which seem to only want my time if I'm really busy! I love the idea of a chicken preparation birthday party! But as you say, might be best not to go along that route. I'd be fine with it and I think many parents in the village would, but it might upset a few and that's not something I want to do. Not everyone sees the world as I do, but that's also part of the magic of the world! We get a batch of 20 each year. The last time we worked out the costings it worked out at £2.40 per kilo. Much cheaper than free range chickens sold in supermarkets and certainly cheaper compared to a butcher. But also: they are older and slower grown making the meat denser and with more flavour. Also, no hormones and no rinsing in chlorine. Yeah, we found them really flavourful. I move mine on to fresh grass each day when they're over 5 weeks and I think this really helps the meat. Yeah, she'd love it but not sure everyone in her class would! Lol! Yeah butchering chcikens takes time but it's not too bad. I could do with making a plucker though! that's the bit I hate most! Each year I forget just how much food these birds can put away. I don#t have a shed or anything so I converted one of the chicken coops to be my brooder - works really well. 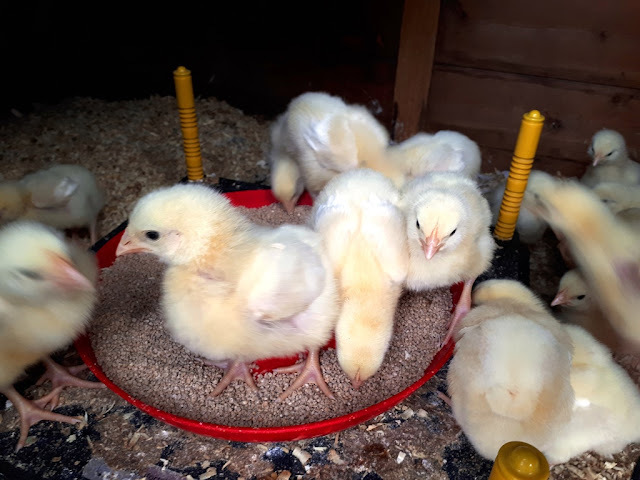 http://www.englishhomestead.com/2017/09/day-old-chicks-meat-birds.html Otherwise I'd be in the same boat. I'd like something a bit bigger but this will do for now, I'm making an exentsion for it this year lol! It's early yet. I thought the chickens were 26 days old. I think I'll go put the kettle on. I thought that when I put it on Facebook. Tricky to know where to add punctuation sometimes! I keep thinking about experimenting with keeping quail as they need very little space. I'd love to set a up a small garden space here and see what I could grow in it, quail could be a useful addition for people with small gardens and you can choose to keep for egg or meat or both. We raised 38 Freedom Ranger chicks this summer and just ate our first one yesterday. Oh my goodness how good is home raised meat? it is excellent! I sometimes forget just how good it is. We had a leg of homegrown lamb on Sunday and it was divine! Melt in your mouth tender- the curry the next day made with the leftovers was almost better! Where do you get your meat chicks from and what breed of chicken do you have? We would love to raise our own meat birds but find it hard to find suppliers for the day old chicks. Meat chicks are from Cyril Basins in craven arms and these are Cobbs (although many call them ross cobbs I understand that they are either ross or cobbs depending on what they've been crossed with.) They were rubbish at contacting me through email though so just rang them up and they were great. Delivered as well which is even better as it saves so much time. ARE YOU SEARCHING FOR THE REAL HACKER? ?